Soooo thats it for Fuerte! Anyway it was quite windy haha. I realized one more time that 4.4 is the perfect sailsize, I learned how to Pasko on the way in, I ducked my sail 200 000 times, I tried to loop on my bad tack, and I crashed around 1 000 000 sailducks – ah yeah and I survived 55 knots with 4.4. My highlight of the trip was a lonely evening session with 4.0 and my waveboard -with waves. I could ride them and really play on it – unfortunatly we thought this happens more often and did not film – yes, because of the flying sand – so we missed all my best session. Anyway I put together a quick edit at it would be sad not to use the footage as some of the shots are pretty good, while some shots are not that brilliant. Anyways thanks to Theresa who made this video possible. We are going to Sri Lanka already this week – so there is more coming… very soon! Recently I made a little poolparty to test out the JBL Pulse 3 and sure we captured a video of it. Hope you like it. After 9 years on Gaastra Sails it was time for a new adventure – so from now on I will be on North Windsurfing Sails. I will be using the Idol LTD for Freestyle and I have some Super Heros aswell for some Wavesessions. Here is a short Video I made during the USD Next Generation Week. New JBL Videos are online! Here are two new Videos from JBL online! One is from Brazil last year, and another one is from Tarifa earlier this year. Hope you like it. And here you go: JBL Flip 4. The best thing about is? You can connect a lot of speakers together to get a better sound, a yes and its waterproof aswell. As it’s a very busy spring for me (with more content coming soon) – I keep it short this time. Here is a small Gopro Video from a light 4.4 session very early morning last week. In my new Video SEEN 4, I take you to Tarifa, in Winter. What in Winter?! Yes, you heard right. I spent already a few winters there, for some good reasons. Everyday different conditions: waves ,chop, flat, strong, light; SUP, good match for my budget, lots of space on the water, high level. Anyways you can read on this page already a lot about Tarifa. 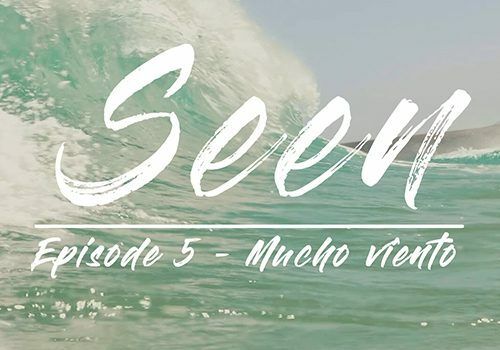 So here is SEEN Episode4. After 3 years without any competion I took part on the Surfworldcup Neusiedl. After my first ever towin behind a jetski the wind kicked in last minute Sunday midday. Anyways after sailing pretty good before my heats, the wind picked up really strong and I was really overpowered on my 5.2 and my brandnew 100l Flikka Freestyle Compact, so I had a hardtime against French Superstar Nico Akgacyian, who took me down in the end. Anyways I know I can do better than 17th – so I will probably also go to Tarifa for the next stop of the Tour, to show my skills. Anyways I also got some good Coverage, also on the Austrian TV. In German Surf-Magazin (Issue 4/2017) I got some Pages about my Homespots around Lake Neusiedl and Zicksee. Hope you like it. I really wanna thank Manuel Vogel for publishing it, Mo Brinnich for a hard day of watershooting, Benni Schön for helping me out with some additonal pictures and Theresa Kellner for helping me with the Text! Insta360 One X – next Level Action Camera?